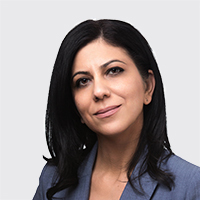 Serineh Karapetian began her career with Mullen and Filippi in October of 2004. She was elevated to an Associate Partner five years later. Initially, Serineh practiced law in the area of workers' compensation representing applicants, which has given her a deeper insight and understanding of nuances, arguments and perspectives. She uses that knowledge and years of experience in defense to represent employers, public entities, third party administrates and carriers. Practice of law is not only Serineh's profession, it is also her passion. Serineh received her law degree from University of Pacific McGeorge School of Law in 2003. She earned her Bachelor of Arts degree in Sociology from the University of California, Los Angeles where she graduated with Honors in 1999. Serineh is fluent is Armenian and Farsi. Serineh is a member of the State Bar of California as well as a member of Sacramento County bar Association. In fact, she has served on the board of Sacramento County Bar association for four years, including as the Bar's elected President in 2014. I enjoy investigating facts and researching the nuances in the law to create and tailor my strategies for each client. Practicing law gives me the opportunity, to read, write, argue which are already all her favorite activities. I read somewhere of two men that were putting logs down for a railroad, and one said, "I am tired of putting logs down." The other said, "Is that what you are doing? I am building a railroad. "I have a vision that guides me in all my endeavors whether in my practice or personal life. I ask myself what is the vision and how can I apply myself with passion to achieve it.